"There is no electricity, everything is paralysed," oil workers' union leader Jose Bodas told Reuters on Tuesday. "We're seeing increasing attention paid to what is going on in Venezuela and to the effect of sanctions," said Gene McGillian, director of market research at Tradition Energy. "Buyers are driving prices higher due to expectations that tightening of waivers on U.S. sanctions on Iran will create a tighter fundamental picture." 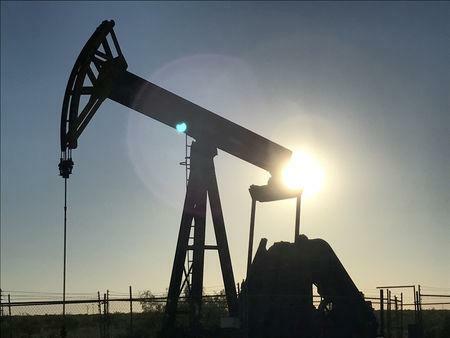 U.S. crude futures' gains were sharper, rising $1.12, or 1.9 percent, to $59.94 a barrel, ahead of government inventory data.